An essential introduction to how sociologists think about and research crime and punishment. A comprehensive and clever mix of classic and contemporary essays on the sociology of culture. With contributions from leading scholars and a provocative collection of discussion topics and group activities, this innovative series provides an accessible and affordable entry point for strong sociological perspectives on topics of immediate social import and public relevance. The fifth volume in The Society Pages series deals with culture, broadly and ecumenically defined. 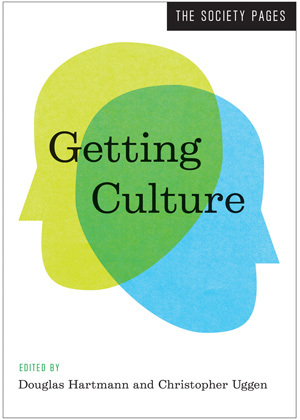 The chapters are organized in three main sections: “Cultural Sociology” provides a sampling of the unique subjects, materials, and methods that define the sociological approach to culture from four of the hottest, most up-and-coming scholars in the field. In “Sociological Critique,” chapters illustrate distinctively sociological interpretations of cultural phenomena, ranging from images of beauty and conceptions of the body to festivals celebrating comic books and fringe art. Finally, “Culture as Ways of Life” describes and analyzes unique subcultural communities whose significance and mere existence are easy to miss or misunderstand. Each of the concise, accessible chapters in this volume reflects TSP’s distinctive layout, tone, and style. Sprinkled throughout are short “TSP Tie-Ins,” highlighting new and emerging work on the website and in the field. The volume concludes with Discussion Guide and Group Activities sections, created by the editors, that challenge readers to draw connections between the chapters, think more deeply and critically about culture and social life, and link to ongoing conversations and interactive posts online. Intended to translate the most exciting research for readers not trained as sociologists, The Society Pages website features dynamic articles, podcasts, blogs, and roundtable discussions on the topics students care about most. Prominent sociologists contribute articles and participate in interviews that synthesize their cutting-edge research into brief pieces that anyone can understand. Each volume in the series collects the best of the web content into thematic collections, in an affordable paperback format. Changing Lenses is the product of an ongoing conversation between sociologist (and Society Pages co-editor) Doug Hartmann and photographer Wing Young Huie. In each essay, they exchange what's seen behind a camera lens and what's seen through a sociological lens to get at the diversity of perspectives and cultivate a unique look at the human experience.